​Author Paul Caranci has authored several nationally recognized books, including his seventh, Wired: A Shocking True Story of Political Corruption and the FBI Informant Who Risked Everything to Expose It. ​Margaret Chase Smith American Democracy Award. 3-23-17 Wired: A Story of Political Corruption from John Carlevale on Vimeo. Author Paul F. Caranci appears on The Rhode Show (WPRI-TV Providence) to discuss his book, The Hanging & Redemption of John Gordon - The True Story of Rhode Island's Last Execution. 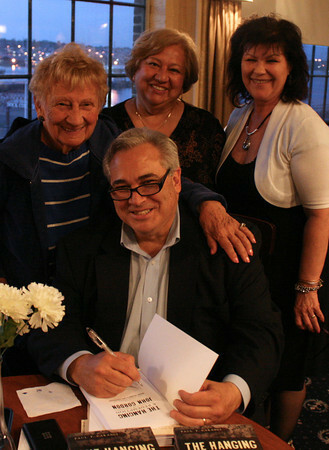 Author Paul Caranci poses with his mother Anne, his sister Linda and his best friend and soul mate, his wife Margie... all of whom inspire him to keep his passion for history and writing alive.